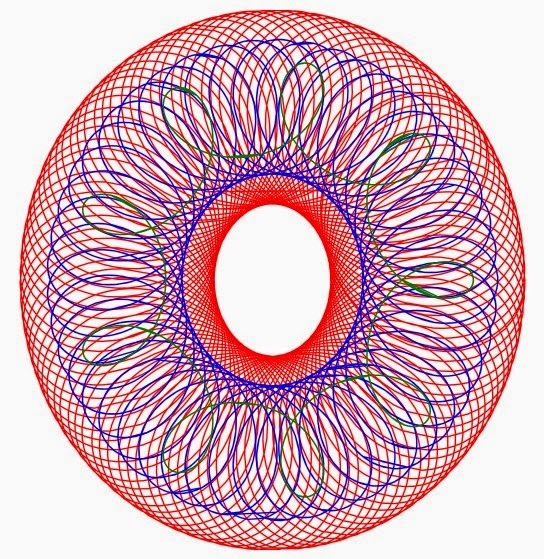 Developed by British engineer Denys Fisher and first sold in 1965, Spirograph is a geometric drawing toy that produces mathematical roulette curves. Creating amazing designs and shapes for children to colour in. 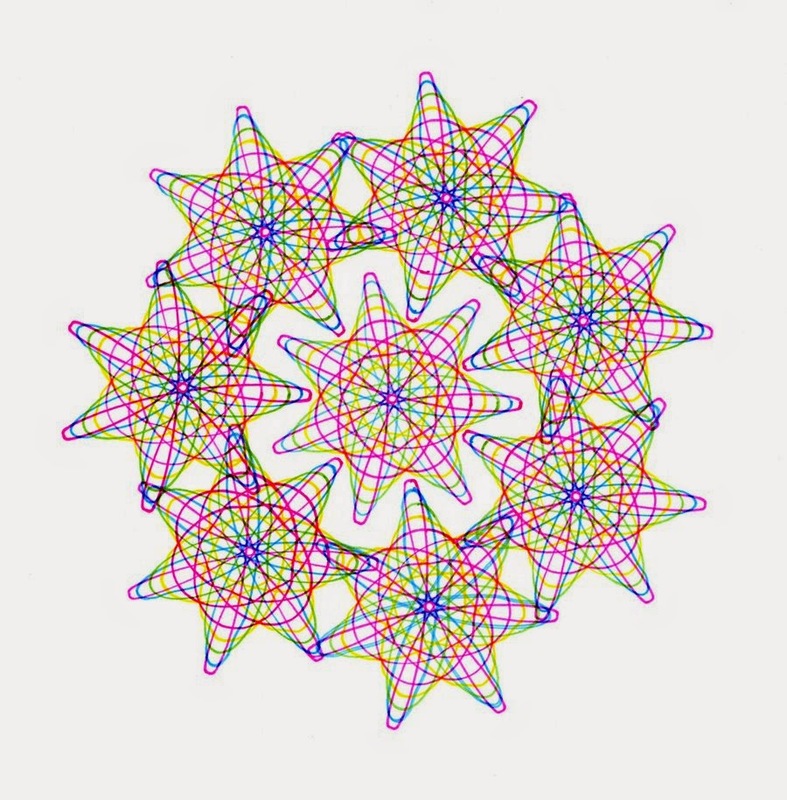 I had my first Spirograph at the age of about 11 and I used to spend hours making different drawings. 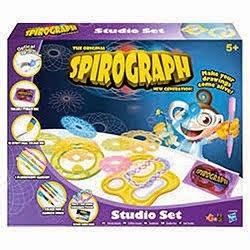 This is the Spirograph released in 1965. 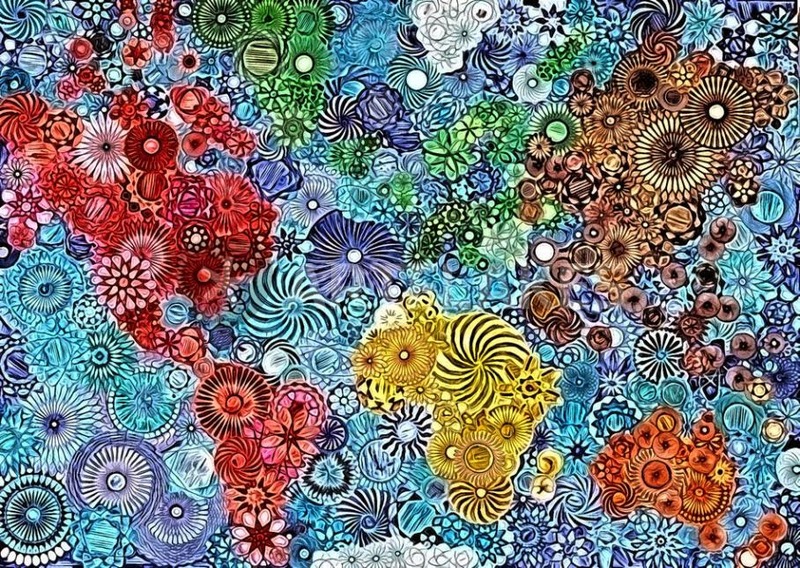 Here are a few examples of pictures that you could make with Spirograph. 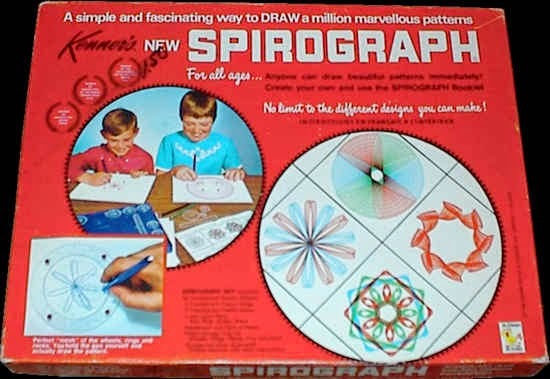 I used to love playing with my Mum's Spirograph. I think the multi-coloured biro's were a novelty back then too. Toys for my baby boy!